Looking for a used Porsche car in Atlanta? Hennessy Porsche in North Atlanta is your premier Porsche dealership, stocked with an extensive inventory of certified pre-owned Porsche cars, used Porsche cars, and classic Porsche cars like the Porsche 911 Carrera. Models like the Porsche 911 are classic cars that bring back memories of style and sophisticated interior style while still maintaining high performance specs standards. Compare the 911 vs. 718 Cayman, and the 911 vs. Corvette, then browse our inventory of used Porsche cars below and don’t hesitate to contact our Atlanta luxury car dealership for assistance with financing a luxury car. 2018 Porsche 911 GT2 RS *** Black With Black Leather Interior *** Weissach Package *** Original M.S.R.P. $341,515 *** * 20/21 911 GT2 RS Magnesium Wheels * 7-speed Porsche Doppelkupplung (PDK) * Automatically Dimming Mirrors with Integrated Rain Sensor * BOSE(R) Surround Sound System * Chrono Package with Preparation for Lap Trigger * Extended Range Fuel Tank, 23.7 gal * Floor Mats * Front Axle Lift System * LED Headlights in Black with Porsche Dynamic Light System * Leather Interior Stitching in Red * Light Design Package * Luggage Net in Passenger Footwell * Smoking Package * Voice Control * Weissach Package * Wheels Painted in Satin BlackIn Roswell, the Hennessy name has become synonymous with the highest ethical business practices resulting in unparalleled levels of customer satisfaction. Hennessy has been the trusted name for luxury vehicles in metro Roswell for over 60 years. Here at Hennessy Porsche North Atlanta, it is our business to seek the best ways, through a Porsche dedicated staff and a state of the art facility, to continuingly exceed our client's expectations. It is this commitment to excellence that makes customer service not only our promise to you...it is our mission. We pride ourselves on providing a totally enjoyable research, purchase and ownership process that is every bit as satisfying as the Porsche driving experience itself. We recognize that Porsche owners are some of the greatest automotive enthusiasts and experts in the world who demand the very best...this is what ignites our *Passion to Perform* for you! Thank you for considering Hennessy Porsche North Atlanta for your automotive needs! Our team invites you to explore further and experience the Hennessy difference! 2019 911 GT3 RS *** Black With Black Leather Interior *** Original M.S.R.P. $196,620 *** Porsche Certified Warranty Includes 2 Year / Unlimited Mile Warranty Period Beginning After The 4 Year / 50,000 Mile New Car Warranty Expires Or From Certified Purchase Sale Date *** * 20/21 911 GT3 RS Wheels * Auto-Dimming Mirrors * Auto-Dimming Mirrors with Integrated Rain Sensor * BOSE® Surround Sound System * Extended Range Fuel Tank, 23.8 gal * Fire Extinguisher * Floor Mats * Front Axle Lift System * Fuel Cap with Aluminum Look Finish * Porsche Doppelkupplung (PDK) * Seat Belts in Guards Red * Smoking Package * Storage Compartment Lid in Alcantara® with Porsche Crest*** In Roswell, the Hennessy name has become synonymous with the highest ethical business practices resulting in unparalleled levels of customer satisfaction. Hennessy has been the trusted name for luxury vehicles in metro Roswell for over 60 years. Here at Hennessy Porsche North Atlanta, it is our business to seek the best ways, through a Porsche dedicated staff and a state of the art facility, to continuingly exceed our client’s expectations. It is this commitment to excellence that makes customer service not only our promise to you…it is our mission. We pride ourselves on providing a totally enjoyable research, purchase and ownership process that is every bit as satisfying as the Porsche driving experience itself. We recognize that Porsche owners are some of the greatest automotive enthusiasts and experts in the world who demand the very best…this is what ignites our “Passion to Perform” for you! Thank you for considering Hennessy Porsche North Atlanta for your automotive needs! Our team invites you to explore further and experience the Hennessy difference! 2018 Porsche 911 GT3 *** Gelbgrun With Black Leather Interior *** This beautiful 2018 Porsche 911 GT3 in paint to sample Gelbgrun is absolutely stunning ! The original owner painstakingly waited for its completion and you can own it almost instantly. It is a fantastic build with PCCBs and yellow stitching throughout. The second owner is friends with the original owner and it has been meticulously cared for every day of its life. Please contact John Dissen directly for details and assistance at 678-778-2416 or john@hennessyporsche.com ****** Porsche Certified Warranty Includes 2 Year / Unlimited Mile Warranty Period Beginning After The 4 Year / 50,000 Mile New Car Warranty Expires Or From Certified Purchase Sale Date *** * 6-speed GT Sport Manual Transmission * Automatically Dimming Mirrors with Integrated Rain Sensor * BOSE® Surround Sound System * Chrono Package with Preparation for Lap Trigger * Control Number for Custom Color * Door Sill Guards in Carbon Fiber, Illuminated * Extended Deviated Stitching Interior Package * Extended Range Fuel Tank, 23.7 gal * Fire Extinguisher * Floor Mats * Front Axle Lift System * Full Bucket Seats * Instrument Dials in White * Interior Trim in Anthracite Brushed Aluminum i.c.w. Leather Interior * LED Headlights in Black with Porsche Dynamic Light System * Luggage Net in Passenger Footwell * Porsche Ceramic Composite Brakes (PCCB) * Preparation for Personalized Door Sill Guards Illuminated * Seat Belts in Racing Yellow * Smoking Package * Storage Compartment Lid in Alcantara® with 'PORSCHE' Logo * Sun Visors in Alcantara® * Wheels Painted in Satin Black In Roswell, the Hennessy name has become synonymous with the highest ethical business practices resulting in unparalleled levels of customer satisfaction. Hennessy has been the trusted name for luxury vehicles in metro Roswell for over 60 years. Here at Hennessy Porsche North Atlanta, it is our business to seek the best ways, through a Porsche dedicated staff and a state of the art facility, to continuingly exceed our client’s expectations. It is this commitment to excellence that makes customer service not only our promise to you…it is our mission. We pride ourselves on providing a totally enjoyable research, purchase and ownership process that is every bit as satisfying as the Porsche driving experience itself. We recognize that Porsche owners are some of the greatest automotive enthusiasts and experts in the world who demand the very best…this is what ignites our *“Passion to Perform”* for you! Thank you for considering Hennessy Porsche North Atlanta for your automotive needs! Our team invites you to explore further and experience the Hennessy difference! 2018 Porsche 911 GT3 *** Carrara White Metallic With Black Leather Interior *** Original M.S.R.P. $184,250 *** *** Porsche Certified Warranty Includes 2 Year / Unlimited Mile Warranty Period Beginning After The 4 Year / 50,000 Mile New Car Warranty Expires Or From Certified Purchase Sale Date *** 2018 Porsche 911 GT3 in Carrara White Metallic with Black Leather Interior, Just Arrived! Original M.S.R.P. $184,250. Please contact David Gentile at 678-477-8835 or David@HennessyPorsche.com with questions or to view in person. This GT3 was traded in here at Hennessy Porsche by one of our local VIP clients. Meticulously maintained, Stored inside, Full clear bra on the front end since day 1. No noticeable nicks or scratches anywhere on the car. Interior looks flawless with no know track time to the best of our knowledge. Porsche Certified Warranty includes 2 Year / Unlimited Mile Warranty period beginning after the 4 year / 50,000 mile new car warranty expires or from the certified purchase sale date. Options include: Porsche Ceramic Composite Brakes (PCCB), Front Axle Lift System, Full Bucket Seats, BOSE(R) Surround Sound System, Chrono Package with Preparation for Lap Trigger, Wheels Painted in Satin Black with Outer Lip in Guards Red, Door Handles in High Gloss Black, Door Sill Guards in Carbon Fiber; Illuminated, Upper Housing of SportDesign Exterior Mirrors in Carbon Fiber, Fire Extinguisher, Instrument Dials in Guards Red, Interior Trim in Carbon Fiber i.c.w. Leather Interior * LED Headlights in Black with Porsche Dynamic Light System * Leather Interior Stitching in Red * Light Design Package * Lower Trim of SportDesign Exterior Mirrors in High Gloss Black, Preparation for Personalized Door Sill Guards Illuminated, Preparation for Rear Logos Painted, Seat Belts in Guards Red * Side Skirts Painted in Exterior Color, Steering Wheel with 12 O'Clock Marker in Red, Voice Control. * Automatically Dimming Mirrors with Integrated Rain Sensor * BOSE(R) Surround Sound System * Chrono Package with Preparation for Lap Trigger * Door Handles in High Gloss Black * Door Sill Guards in Carbon Fiber, Illuminated * Extended Range Fuel Tank, 23.7 gal * Fire Extinguisher * Floor Mats * Front Axle Lift System * Full Bucket Seats * Instrument Dials in Guards Red * Interior Trim in Carbon Fiber i.c.w. Leather Interior * LED Headlights in Black with Porsche Dynamic Light System * Leather Interior Stitching in Red * Light Design Package * Lower Trim of SportDesign Exterior Mirrors in High Gloss Black * Luggage Net in Passenger Footwell * Porsche Ceramic Composite Brakes (PCCB) * Preparation for Personalized Door Sill Guards Illuminated * Preparation for Rear Logos Painted * Seat Belts in Guards Red * Side Skirts Painted in Exterior Color * Smoking Package * Steering Wheel with 12 O'Clock Marker in Red * Upper Housing of SportDesign Exterior Mirrors in Carbon Fiber * Voice Control * Wheels Painted in Satin Black with Outer Lip in Guards RedIn Roswell, the Hennessy name has become synonymous with the highest ethical business practices resulting in unparalleled levels of customer satisfaction. Hennessy has been the trusted name for luxury vehicles in metro Roswell for over 60 years. Here at Hennessy Porsche North Atlanta, it is our business to seek the best ways, through a Porsche dedicated staff and a state of the art facility, to continuingly exceed our client's expectations. It is this commitment to excellence that makes customer service not only our promise to you...it is our mission. We pride ourselves on providing a totally enjoyable research, purchase and ownership process that is every bit as satisfying as the Porsche driving experience itself. We recognize that Porsche owners are some of the greatest automotive enthusiasts and experts in the world who demand the very best...this is what ignites our *Passion to Perform* for you! Thank you for considering Hennessy Porsche North Atlanta for your automotive needs! Our team invites you to explore further and experience the Hennessy difference! 2018 Porsche 911 GT3 *** GT Silver Metallic With Black Leather Interior *** Original M.S.R.P. $175,550 *** Porsche Certified Warranty Includes 2 Year / Unlimited Mile Warranty Period Beginning After The 4 Year / 50,000 Mile New Car Warranty Expires Or From Certified Purchase Sale Date *** This beautiful 2018 Porsche 911 GT3 is a one-owner, local vehicle that has been well cared for. The original owner ordered this vehicle with all of the right equipment; Chrono, PDK, carbon buckets, front axle lift, PCCB's, white gauges and more. As you can see in the pictures, it is GT Silver, perhaps the most recognizable Porsche color. You simply will not find a cleaner, more well cared for GT3. As an added bonus, this vehicle is Porsche Factory Certified giving you an additional 2 years / unlimited miles of coverage including Roadside Assistance beyond the 4 year / 50,000 mile original coverage. Don't delay, this one will not last long. Please contact John Dissen directly for assistance john@hennessyporsche.com or 678-778-2416 *** * 20 911 GT3 Wheels * 7-speed Porsche Doppelkupplung (PDK) * Automatically Dimming Mirrors with Integrated Rain Sensor * BOSE(R) Surround Sound System * Chrono Package with Preparation for Lap Trigger * Extended Range Fuel Tank, 23.7 gal * Fire Extinguisher * Floor Mats * Front Axle Lift System * Fuel Cap with Aluminum Look Finish * Full Bucket Seats * Instrument Dials in White * Interior Trim in Anthracite Brushed Aluminum i.c.w. Leather Interior * LED Headlights in Black with Porsche Dynamic Light System * Light Design Package * Luggage Net in Passenger Footwell * Porsche Ceramic Composite Brakes (PCCB) * Smoking Package * Steering Wheel with 12 O'Clock Marker in Red * Sun Visors in Alcantara(R) * Voice Control * Wheels Painted in Satin Black*** In Roswell, the Hennessy name has become synonymous with the highest ethical business practices resulting in unparalleled levels of customer satisfaction. Hennessy has been the trusted name for luxury vehicles in metro Roswell for over 60 years. Here at Hennessy Porsche North Atlanta, it is our business to seek the best ways, through a Porsche dedicated staff and a state of the art facility, to continuingly exceed our client's expectations. It is this commitment to excellence that makes customer service not only our promise to you...it is our mission. We pride ourselves on providing a totally enjoyable research, purchase and ownership process that is every bit as satisfying as the Porsche driving experience itself. We recognize that Porsche owners are some of the greatest automotive enthusiasts and experts in the world who demand the very best...this is what ignites our Passion to Perform for you! Thank you for considering Hennessy Porsche North Atlanta for your automotive needs! Our team invites you to explore further and experience the Hennessy difference! 2018 Porsche 911 GT3 *** Guards Red With Black Leather Interior *** Original M.S.R.P. $178,270 *** Porsche Certified Warranty Includes 2 Year / Unlimited Mile Warranty Period Beginning After The 4 Year / 50,000 Mile New Car Warranty Expires Or From Certified Purchase Sale Date *** * Automatically Dimming Mirrors with Integrated Rain Sensor * BOSE(R) Surround Sound System * Chrono Package with Preparation for Lap Trigger * Door Handles in High Gloss Black * Door Sill Guards in Carbon Fiber, Illuminated * Extended Range Fuel Tank, 23.7 gal * Fire Extinguisher * Floor Mats * Front Axle Lift System * Fuel Cap with Aluminum Look Finish * Full Bucket Seats * Interior Trim in Carbon Fiber i.c.w. Leather Interior * LED Headlights in Black with Porsche Dynamic Light System * Leather Interior Stitching in Red * Lower Trim of SportDesign Exterior Mirrors in High Gloss Black * Luggage Net in Passenger Footwell * Porsche Ceramic Composite Brakes (PCCB) * Preparation for Personalized Door Sill Guards Illuminated * Preparation for Rear Logos Painted * Smoking Package * Steering Wheel with 12 O'Clock Marker in Red * Voice Control * Wheels Painted in Satin BlackIn Roswell, the Hennessy name has become synonymous with the highest ethical business practices resulting in unparalleled levels of customer satisfaction. Hennessy has been the trusted name for luxury vehicles in metro Roswell for over 60 years. Here at Hennessy Porsche North Atlanta, it is our business to seek the best ways, through a Porsche dedicated staff and a state of the art facility, to continuingly exceed our client's expectations. It is this commitment to excellence that makes customer service not only our promise to you...it is our mission. We pride ourselves on providing a totally enjoyable research, purchase and ownership process that is every bit as satisfying as the Porsche driving experience itself. We recognize that Porsche owners are some of the greatest automotive enthusiasts and experts in the world who demand the very best...this is what ignites our Passion to Perform for you! Thank you for considering Hennessy Porsche North Atlanta for your automotive needs! Our team invites you to explore further and experience the Hennessy difference! 2018 Porsche 911 GT3 *** Chalk With Black Leather Interior *** Original M.S.R.P $172,890. *** Porsche Certified Warranty Includes 2 Year / Unlimited Mile Warranty Period Beginning After The 4 Year / 50,000 Mile New Car Warranty Expires Or From Certified Purchase Sale Date *** ***** Call or email Mike McPherson at 678-781-0510 or mikem@hennessyporsche.com for the build sheet and specs on this stunning 2018 GT3. This car was purchased new from our dealership and most recently purchased as a CPO car from us by a long-time repeat client. He traded it back in on a new GT3 RS. It looks absolutely stunning in Chalk with the corresponding painted interior trim. This GT3 is very nicely equipped and would be as fun as a daily driver as it would be for a track car. For the full history, specs, and build sheet, call or email Mike McPherson at 678-781-0510 or mikem@hennessyporsche.com ***** * Automatically Dimming Mirrors with Integrated Rain Sensor * Door Sill Guards in Stainless Steel, Illuminated * Extended Range Fuel Tank, 23.7 gal * Floor Mats * Front Axle Lift System * Full Bucket Seats * Interior Trim Painted in Exterior Color i.c.w. Leather Interior * LED Headlights in Black with Porsche Dynamic Light System * Leather Interior Stitching in Red * Light Design Package * Luggage Net in Passenger Footwell * Pedals and Footrest in Aluminum * Preparation for Personalized Door Sill Guards Illuminated * Side Skirts Painted in Exterior Color * Smoking Package * Steering Wheel with 12 O'Clock Marker in Red * Storage Compartment Lid in Alcantara(R) with Porsche Crest * Upper Housing of SportDesign Exterior Mirrors in Carbon Fiber * Voice Control * Wheels Painted in Satin BlackIn Roswell, the Hennessy name has become synonymous with the highest ethical business practices resulting in unparalleled levels of customer satisfaction. Hennessy has been the trusted name for luxury vehicles in metro Roswell for over 60 years. Here at Hennessy Porsche North Atlanta, it is our business to seek the best ways, through a Porsche dedicated staff and a state of the art facility, to continuingly exceed our client's expectations. It is this commitment to excellence that makes customer service not only our promise to you...it is our mission. We pride ourselves on providing a totally enjoyable research, purchase and ownership process that is every bit as satisfying as the Porsche driving experience itself. We recognize that Porsche owners are some of the greatest automotive enthusiasts and experts in the world who demand the very best...this is what ignites our *Passion to Perform* for you! Thank you for considering Hennessy Porsche North Atlanta for your automotive needs! Our team invites you to explore further and experience the Hennessy difference! 2018 Porsche 911 GT3 *** GT Silver Metallic With Black Leather Interior *** Original M.S.R.P. $168,560 *** 6 Speed *** *** Porsche Certified Warranty Includes 2 Year / Unlimited Mile Warranty Period Beginning After The 4 Year / 50,000 Mile New Car Warranty Expires Or From Certified Purchase Sale Date *** * 6-speed GT Sport Manual Transmission * Automatically Dimming Mirrors with Integrated Rain Sensor * BOSE® Surround Sound System * Chrono Package with Preparation for Lap Trigger * Door Sill Guards in Carbon Fiber, Illuminated * Extended Range Fuel Tank, 23.7 gal * Fire Extinguisher * Floor Mats * Front Axle Lift System * Full Bucket Seats * Interior Trim in Carbon Fiber i.c.w. Leather Interior * LED Headlights with Porsche Dynamic Light System * Light Design Package * Luggage Net in Passenger Footwell * Preparation for Personalized Door Sill Guards Illuminated * Seat Belts in Silver Grey * Smoking Package * Steering Column Casing in Leather * Steering Wheel and Gear Lever/Selector in Black Leather * Voice Control * Wheels Painted in Satin Platinum*** In Roswell, the Hennessy name has become synonymous with the highest ethical business practices resulting in unparalleled levels of customer satisfaction. Hennessy has been the trusted name for luxury vehicles in metro Roswell for over 60 years. Here at Hennessy Porsche North Atlanta, it is our business to seek the best ways, through a Porsche dedicated staff and a state of the art facility, to continuingly exceed our client’s expectations. It is this commitment to excellence that makes customer service not only our promise to you…it is our mission. We pride ourselves on providing a totally enjoyable research, purchase and ownership process that is every bit as satisfying as the Porsche driving experience itself. We recognize that Porsche owners are some of the greatest automotive enthusiasts and experts in the world who demand the very best…this is what ignites our “Passion to Perform” for you! Thank you for considering Hennessy Porsche North Atlanta for your automotive needs! Our team invites you to explore further and experience the Hennessy difference! 2017 Porsche 911 Turbo Cabriolet *** GT Silver Metallic With Black Leather Interior *** Original M.S.R.P. $178,965 *** Porsche Certified Warranty Includes 2 Year / Unlimited Mile Warranty Period Beginning After The 4 Year / 50,000 Mile New Car Warranty Expires Or From Certified Purchase Sale Date *** * Heated Multifunction Steering Wheel * LED Headlights in Black incl. Porsche Dynamic Light System Plus (PDLS+) * LED Headlights incl. Porsche Dynamic Light System Plus (PDLS+) * Lane Change Assist (LCA) * Light Design Package * Luggage Net in Passenger Footwell * Porsche Crest on Headrests * Porsche Entry & Drive * Power Steering Plus * Seat Heating (Front) * Seat Ventilation (Front) * Smoking Package * SportDesign Side Mirrors * SportDesign exterior mirror lower trims painted in Black (high-gloss) * Storage Compartment Lid with Model Logo * Voice Control * Wheel Center Caps with Colored Porsche CrestIn Roswell, the Hennessy name has become synonymous with the highest ethical business practices resulting in unparalleled levels of customer satisfaction. Hennessy has been the trusted name for luxury vehicles in metro Roswell for over 60 years. Here at Hennessy Porsche North Atlanta, it is our business to seek the best ways, through a Porsche dedicated staff and a state of the art facility, to continuingly exceed our client's expectations. It is this commitment to excellence that makes customer service not only our promise to you...it is our mission. We pride ourselves on providing a totally enjoyable research, purchase and ownership process that is every bit as satisfying as the Porsche driving experience itself. We recognize that Porsche owners are some of the greatest automotive enthusiasts and experts in the world who demand the very best...this is what ignites our Passion to Perform for you! Thank you for considering Hennessy Porsche North Atlanta for your automotive needs! Our team invites you to explore further and experience the Hennessy difference! 2019 Porsche 911 Coupe 4S *** GT Silver Metallic With Black And Bordeaux Red Leather Interior *** Original M.S.R.P. $142,330 *** Porsche Certified Warranty Includes 2 Year / Unlimited Mile Warranty Period Beginning After The 4 Year / 50,000 Mile New Car Warranty Expires Or From Certified Purchase Sale Date *** * 20 RS Spyder Design Wheels * 7-speed Porsche Doppelkupplung (PDK) * Auto-Dimming Mirrors * BOSE(R) Surround Sound System * Electric Slide/Tilt Sunroof in Glass * GT Sport Steering Wheel * Heated Multifunction Steering Wheel * LED Headlights with Porsche Dynamic Light System Plus (PDLS+) * Lane Change Assist (LCA) * Light Design Package * Luggage Net in Passenger Footwell * Porsche Crest on Headrests * Porsche Entry & Drive * Power Sport Seats (14-way) with Memory Package * Premium Package Plus i.c.w. Power Sport Seats (14-way) * Preparation for Two-Tone Leather Interior * Rear Axle Steering * Seat Heating * Seat Ventilation * Smoking Package * Sport Chrono Package * Sport Exhaust System with Tailpipes in Silver * Sport Package * SportDesign Exterior Mirrors * Tachometer Dial in Black * Voice Control * Wheel Center Caps with Colored Porsche Crest*** In Roswell, the Hennessy name has become synonymous with the highest ethical business practices resulting in unparalleled levels of customer satisfaction. Hennessy has been the trusted name for luxury vehicles in metro Roswell for over 60 years. Here at Hennessy Porsche North Atlanta, it is our business to seek the best ways, through a Porsche dedicated staff and a state of the art facility, to continuingly exceed our client's expectations. It is this commitment to excellence that makes customer service not only our promise to you...it is our mission. We pride ourselves on providing a totally enjoyable research, purchase and ownership process that is every bit as satisfying as the Porsche driving experience itself. We recognize that Porsche owners are some of the greatest automotive enthusiasts and experts in the world who demand the very best...this is what ignites our *Passion to Perform* for you! Thank you for considering Hennessy Porsche North Atlanta for your automotive needs! Our team invites you to explore further and experience the Hennessy difference! 2015 Porsche 911 GT3 *** Agate Gray Metallic With Black Leather Interior *** Original M.S.R.P. $147,175 *** Porsche Certified Warranty Includes 2 Year / Unlimited Mile Warranty Period Beginning After The 4 Year / 50,000 Mile New Car Warranty Expires Or From Certified Purchase Sale Date *** * Fire Extinguisher * Floor Mats * Full Bucket Seats * Instrument Dials in Guards Red * LED Headlights incl. Porsche Dynamic Light System (PDLS) * Pedals and Footrest in Aluminum * Porsche Communication Management (PCM) incl. Navigation Module * Side Skirts Painted * SiriusXM(R) Satellite Radio, NavTraffic, NavWeather and HD Radio Receiver * Sound Package Plus * Sport Chrono Package incl. Porsche Track Precision App * SportDesign Steering Wheel in Leather * Wheels Painted in Black===== About Hennessy Porsche North Atlanta =====In Atlanta, the Hennessy name has become synonymous with the highest ethical business practices resulting in unparalleled levels of customer satisfaction. Hennessy has been the trusted name for luxury vehicles in metro Atlanta for over 60 years. Here at Hennessy Porsche it is our business to seek the best ways, through a Porsche dedicated staff and a state of the art facility, to continuingly exceed our client's expectations. It is this commitment to excellence that makes customer service not only our promise to you...it is our mission. We pride ourselves on providing a totally enjoyable research, purchase and ownership process that is every bit as satisfying as the Porsche driving experience itself. We recognize that Porsche owners are some of the greatest automotive enthusiasts and experts in the world who demand the very best...this is what ignites our Passion to Perform for you! 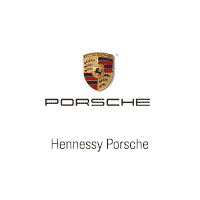 Thank you for considering Hennessy Porsche for your automotive needs! Our team invites you to explore further and experience the Hennessy difference! 2014 Porsche 911 GT3 *** Rhodium Silver Metallic With Black Leather Interior *** Original M.S.R.P. $162,520 *** Call or text *Scott Hamilton* at 770-490-9440 or e-mail at scott@hennessyporsche.com for details. This 2014 GT3 was traded in by a local client. It is a 2 owner vehicle with a clean CarFax and it is super clean and loaded. The original MSRP is $162,520. Options include: heated seats, ceramic brakes, front axle lift system, sound package plus, LED headlights, light design package, Sport chrono clock, voice control, XM radio, Carbon Fiber interior package, 18 way power seats, auto dimming mirrors, navigation and much more! Call or text *Scott Hamilton* at 770-490-9440 or e-mail at scott@hennessyporsche.com for more details including pictures, service records and copy of the original window sticker.Porsche Certified Warranty Includes 2 Year / Unlimited Mile Warranty Period Beginning After The 4 Year / 50,000 Mile New Car Warranty Expires Or From Certified Purchase Sale Date *** * Adaptive Sport Seats Plus (18-way) * Automatically Dimming Mirrors with Integrated Rain Sensor * Carbon Fiber Interior Package i.c.w. Leather Interior * Center Console Trim in Carbon Fiber * Extended Range Fuel Tank * Floor Mats * Front Axle Lift System * LED Headlights incl. Porsche Dynamic Light System Plus (PDLS Plus) * Light Design Package * Porsche Ceramic Composite Brake (PCCB) * Porsche Communication Management (PCM) incl. Navigation Module * Seat Heating (Front) * Show Vehicle * SiriusXM(R) Satellite Radio & HD Radio Receiver * Smoking Package * Sound Package Plus * Sport Chrono Clock i.c.w. PCM * SportDesign Steering Wheel * Telephone Module * Voice ControlIn Roswell, the Hennessy name has become synonymous with the highest ethical business practices resulting in unparalleled levels of customer satisfaction. Hennessy has been the trusted name for luxury vehicles in metro Roswell for over 60 years. Here at Hennessy Porsche North Atlanta, it is our business to seek the best ways, through a Porsche dedicated staff and a state of the art facility, to continuingly exceed our client's expectations. It is this commitment to excellence that makes customer service not only our promise to you...it is our mission. We pride ourselves on providing a totally enjoyable research, purchase and ownership process that is every bit as satisfying as the Porsche driving experience itself. We recognize that Porsche owners are some of the greatest automotive enthusiasts and experts in the world who demand the very best...this is what ignites our Passion to Perform for you! Thank you for considering Hennessy Porsche North Atlanta for your automotive needs! Our team invites you to explore further and experience the Hennessy difference! 2010 Porsche 911 GT3 *** White With Black Leather Interior *** 6 Speed *** One Owner Vehicle *** DME Report Has 0% Over-Rev *** All Service Is Up To Date *** Original M.S.R.P. $131,330 *** Porsche Certified Warranty Includes 2 Year / Unlimited Mile Warranty Period Beginning After The 4 Year / 50,000 Mile New Car Warranty Expires Or From Certified Purchase Sale Date *** * Bluetooth Hands-Free Phone Interface * Dynamic Cornering Lights * Dynamic Engine Mounts * Fire Extinguisher * Floor Mats in Interior Color * PCM 3.0 with Extended Navigation * Porsche Ceramic Composite Brake (PCCB) * Self-Dim Mirrors & Rain Sensor * Sound Package Plus * Sport Chrono Package Plus * Universal Audio InterfaceIn Roswell, the Hennessy name has become synonymous with the highest ethical business practices resulting in unparalleled levels of customer satisfaction. Hennessy has been the trusted name for luxury vehicles in metro Roswell for over 60 years. Here at Hennessy Porsche North Atlanta, it is our business to seek the best ways, through a Porsche dedicated staff and a state of the art facility, to continuingly exceed our client's expectations. It is this commitment to excellence that makes customer service not only our promise to you...it is our mission. We pride ourselves on providing a totally enjoyable research, purchase and ownership process that is every bit as satisfying as the Porsche driving experience itself. We recognize that Porsche owners are some of the greatest automotive enthusiasts and experts in the world who demand the very best...this is what ignites our Passion to Perform for you! Thank you for considering Hennessy Porsche North Atlanta for your automotive needs! Our team invites you to explore further and experience the Hennessy difference! 2019 Porsche 911 Carrera Coupe *** White With Black Leather Interior *** Original M.S.R.P. $118,275 *** Porsche Certified Warranty Includes 2 Year / Unlimited Mile Warranty Period Beginning After The 4 Year / 50,000 Mile New Car Warranty Expires Or From Certified Purchase Sale Date *** * 20 Carrera S Wheels * 7-speed Porsche Doppelkupplung (PDK) * Adaptive Sport Seats Plus (18-way) with Memory Package * Automatically Dimming Mirrors * BOSE(R) Surround Sound System * Door Sill Guards in Stainless Steel * Electric Slide/Tilt Sunroof in Glass * Fire Extinguisher * Fuel Cap with Aluminum Look Finish * GT Sport Steering Wheel * LED Headlights with Porsche Dynamic Light System Plus * Lane Change Assist (LCA) * Light Design Package * Luggage Net in Passenger Footwell * Porsche Crest on Headrests * Porsche Entry & Drive * Power Steering Plus * Premium Package Plus i.c.w. Adaptive Sport Seats Plus (18-way) * Preparation for Rear Logos Painted * Seat Heating * Seat Ventilation * Smoking Package * Sport Chrono Package * Sport Exhaust System with Tailpipes in Black * Sport Exhaust System with Tailpipes in Silver * Wheel Center Caps with Colored Porsche Crest * Wheels Painted in Satin BlackIn Roswell, the Hennessy name has become synonymous with the highest ethical business practices resulting in unparalleled levels of customer satisfaction. Hennessy has been the trusted name for luxury vehicles in metro Roswell for over 60 years. Here at Hennessy Porsche North Atlanta, it is our business to seek the best ways, through a Porsche dedicated staff and a state of the art facility, to continuingly exceed our client's expectations. It is this commitment to excellence that makes customer service not only our promise to you...it is our mission. We pride ourselves on providing a totally enjoyable research, purchase and ownership process that is every bit as satisfying as the Porsche driving experience itself. We recognize that Porsche owners are some of the greatest automotive enthusiasts and experts in the world who demand the very best...this is what ignites our *Passion to Perform* for you! Thank you for considering Hennessy Porsche North Atlanta for your automotive needs! Our team invites you to explore further and experience the Hennessy difference! 2018 Porsche 911 Carrera T *** Guards Red With Black Leather Interior *** Original M.S.R.P. $115,770 *** Porsche Certified Warranty Includes 2 Year / Unlimited Mile Warranty Period Beginning After The 4 Year / 50,000 Mile New Car Warranty Expires Or From Certified Purchase Sale Date *** * 20 Carrera S Wheels * 7-speed Manual Transmission * Adaptive Sport Seats Plus (18-way) * BOSE® Surround Sound System * Bi-Xenon™ Headlights with Porsche Dynamic Light System * Carrera T Interior Package * Chrono Package with Porsche Track Precision App * Heated Multifunction Steering Wheel * Lane Change Assist (LCA) * Porsche Entry & Drive * Power Steering Plus * Premium Package i.c.w. Adaptive Sport Seats Plus (18-way) * Rear Axle Steering *** In Roswell, the Hennessy name has become synonymous with the highest ethical business practices resulting in unparalleled levels of customer satisfaction. Hennessy has been the trusted name for luxury vehicles in metro Roswell for over 60 years. Here at Hennessy Porsche North Atlanta, it is our business to seek the best ways, through a Porsche dedicated staff and a state of the art facility, to continuingly exceed our client’s expectations. It is this commitment to excellence that makes customer service not only our promise to you…it is our mission. We pride ourselves on providing a totally enjoyable research, purchase and ownership process that is every bit as satisfying as the Porsche driving experience itself. We recognize that Porsche owners are some of the greatest automotive enthusiasts and experts in the world who demand the very best…this is what ignites our *“Passion to Perform”* for you! Thank you for considering Hennessy Porsche North Atlanta for your automotive needs! Our team invites you to explore further and experience the Hennessy difference! 2017 Porsche 911 Coupe *** GT Silver Metallic With Black Leather Interior *** Original M.S.R.P. $106,750 *** Porsche Certified Warranty Includes 2 Year / Unlimited Mile Warranty Period Beginning After The 4 Year / 50,000 Mile New Car Warranty Expires Or From Certified Purchase Sale Date *** * 20 Carrera Sport Wheels * BOSE® Surround Sound System * Electric Slide/Tilt Sunroof in Glass * Model Designation 911 * Porsche Dynamic Light System (PDLS) * Porsche Entry & Drive * Power Sport Seats (14-way) with Memory Package * Premium Package i.c.w. Power Sport Seats (14-way) * Seat Ventilation (Front) * Smoking Package * Sport Exhaust System * Wheel Center Caps with Colored Porsche Crest * Wheels Painted in Black (High-Gloss)In Roswell, the Hennessy name has become synonymous with the highest ethical business practices resulting in unparalleled levels of customer satisfaction. Hennessy has been the trusted name for luxury vehicles in metro Roswell for over 60 years. Here at Hennessy Porsche North Atlanta, it is our business to seek the best ways, through a Porsche dedicated staff and a state of the art facility, to continuingly exceed our client’s expectations. It is this commitment to excellence that makes customer service not only our promise to you…it is our mission. We pride ourselves on providing a totally enjoyable research, purchase and ownership process that is every bit as satisfying as the Porsche driving experience itself. We recognize that Porsche owners are some of the greatest automotive enthusiasts and experts in the world who demand the very best…this is what ignites our *“Passion to Perform”* for you! Thank you for considering Hennessy Porsche North Atlanta for your automotive needs! Our team invites you to explore further and experience the Hennessy difference! 2017 Porsche 911 Coupe *** White With Black Leather Interior *** Original M.S.R.P. $103,145 *** Porsche Certified Warranty Includes 2 Year / Unlimited Mile Warranty Period Beginning After The 4 Year / 50,000 Mile New Car Warranty Expires Or From Certified Purchase Sale Date *** * 20 Carrera Sport Wheels * BOSE(R) Surround Sound System * Electric Slide/Tilt Sunroof * GT Sport Steering Wheel * Porsche Doppelkupplung (PDK) * Seat Heating (Front) * Seat Ventilation (Front) * Smoking Package * Sport Seats Plus (4-way) * Wheel Center Caps with Colored Porsche Crest * Wheels Painted in Platinum SatinIn Roswell, the Hennessy name has become synonymous with the highest ethical business practices resulting in unparalleled levels of customer satisfaction. Hennessy has been the trusted name for luxury vehicles in metro Roswell for over 60 years. Here at Hennessy Porsche North Atlanta, it is our business to seek the best ways, through a Porsche dedicated staff and a state of the art facility, to continuingly exceed our client's expectations. It is this commitment to excellence that makes customer service not only our promise to you...it is our mission. We pride ourselves on providing a totally enjoyable research, purchase and ownership process that is every bit as satisfying as the Porsche driving experience itself. We recognize that Porsche owners are some of the greatest automotive enthusiasts and experts in the world who demand the very best...this is what ignites our *Passion to Perform* for you! Thank you for considering Hennessy Porsche North Atlanta for your automotive needs! Our team invites you to explore further and experience the Hennessy difference! 2016 Porsche 911 Coupe *** Agate Gray Metallic With Luxor Beige Leather Interior *** Original M.S.R.P. $96,745 *** Porsche Certified Warranty Includes 2 Year / Unlimited Mile Warranty Period Beginning After The 4 Year / 50,000 Mile New Car Warranty Expires Or From Certified Purchase Sale Date *** * 20 Carrera Classic Wheels * Electric Slide/Tilt Sunroof * Model Designation 911 * Porsche Doppelkupplung (PDK) * Power Steering Plus * Seat Heating (Front) * Seat Ventilation (Front) * Side Window Trim in Aluminum (High-Gloss) * SiriusXM® Satellite Radio, NavTraffic and NavWeather Receiver * SportDesign Steering Wheel In Roswell, the Hennessy name has become synonymous with the highest ethical business practices resulting in unparalleled levels of customer satisfaction. Hennessy has been the trusted name for luxury vehicles in metro Roswell for over 60 years. Here at Hennessy Porsche North Atlanta, it is our business to seek the best ways, through a Porsche dedicated staff and a state of the art facility, to continuingly exceed our client’s expectations. It is this commitment to excellence that makes customer service not only our promise to you…it is our mission. We pride ourselves on providing a totally enjoyable research, purchase and ownership process that is every bit as satisfying as the Porsche driving experience itself. We recognize that Porsche owners are some of the greatest automotive enthusiasts and experts in the world who demand the very best…this is what ignites our *“Passion to Perform”* for you! Thank you for considering Hennessy Porsche North Atlanta for your automotive needs! Our team invites you to explore further and experience the Hennessy difference! 2013 Porsche 911 Cabriolet S *** White With Umber Leather Interior *** Original M.S.R.P. $126,625 *** Porsche Certified Warranty Includes 2 Year / Unlimited Mile Warranty Period Beginning After The 4 Year / 50,000 Mile New Car Warranty Expires Or From Certified Purchase Sale Date *** This Certified Pre-Owned, 2013 Porsche 911 Carrera S is in pristine condition and has all the bells and whistles with the Premium Package Plus! You will also find a few added options not typically seen, such as heated multi-function steering wheel and folding mirrors.The rare, full leather Umber interior looks amazing with the white exterior. This 911 was previously sold by Hennessy Porsche and traded by a repeat VIP client. Please contact Scott Chmiel, 678-781-0529 or scottc@hennessyporsche.com for a test drive or questions. * 20-inch Carrera Classic wheel * BOSE(R) Audio Package * Electric folding exterior mirrors * Multi-function steering wheel * Navigation Module * Porsche Doppelkupplung (PDK) * Power Sport Seats (14-way) * Power Steering Plus * Premium Package Plus * Steering wheel heating*** In Roswell, the Hennessy name has become synonymous with the highest ethical business practices resulting in unparalleled levels of customer satisfaction. Hennessy has been the trusted name for luxury vehicles in metro Roswell for over 60 years. Here at Hennessy Porsche North Atlanta, it is our business to seek the best ways, through a Porsche dedicated staff and a state of the art facility, to continuingly exceed our client's expectations. It is this commitment to excellence that makes customer service not only our promise to you...it is our mission. We pride ourselves on providing a totally enjoyable research, purchase and ownership process that is every bit as satisfying as the Porsche driving experience itself. We recognize that Porsche owners are some of the greatest automotive enthusiasts and experts in the world who demand the very best...this is what ignites our Passion to Perform for you! Thank you for considering Hennessy Porsche North Atlanta for your automotive needs! Our team invites you to explore further and experience the Hennessy difference! 2009 Porsche 911 Turbo Cabriolet *** GT Silver Metallic With Black Full Leather Interior *** Original M.S.R.P. $151,295. My name is Mike McPherson. You can reach me at 678-781-0510 or e-mail at mikem@hennessyporsche.com. This 2009 Turbo Cab was purchased by a repeat client back in 2011 as a Certified Pre-Owned car. It is a nicely equipped car and looks amazing. The HRE wheels really give the car a great presence. This Turbo Cab also has an upgraded exhaust system. It sounds amazing without being too loud, and adds a great sound that is missing from the factory exhaust on these Turbo models. Don't miss your chance to pick up this low mileage, beautiful 911 Turbo! Call Mike McPherson at 678-781-0510 or e-mail at mikem@hennessyporsche.com for more details. * Bluetooth Interface for Mobile Phone * Floor Mats in Interior Color * Heated Seats * Side Skirts in Painted in Exterior Color * Sport Chrono Package Turbo * Tiptronic S * Universal Audio Interface * XM RadioIn Roswell, the Hennessy name has become synonymous with the highest ethical business practices resulting in unparalleled levels of customer satisfaction. Hennessy has been the trusted name for luxury vehicles in metro Roswell for over 60 years. Here at Hennessy Porsche North Atlanta, it is our business to seek the best ways, through a Porsche dedicated staff and a state of the art facility, to continuingly exceed our client's expectations. It is this commitment to excellence that makes customer service not only our promise to you...it is our mission. We pride ourselves on providing a totally enjoyable research, purchase and ownership process that is every bit as satisfying as the Porsche driving experience itself. We recognize that Porsche owners are some of the greatest automotive enthusiasts and experts in the world who demand the very best...this is what ignites our *Passion to Perform* for you! Thank you for considering Hennessy Porsche North Atlanta for your automotive needs! Our team invites you to explore further and experience the Hennessy difference! This 1997 Carrera Cabriolet is beautiful in Guards Red over Black interior. This 993 Cab was purchased by the current owner from a long time client of our store and has lived in North Carolina ever since. The paint is in very good condition, as are the top and interior. There is no evidence of any accident history on the car. We have just completed several items in our service department, including new tires, front brakes, drive belts, and more. Factory options include: *159 - Engine sound package , *398 - 17 Cup Wheels, *445 - Wheel center caps with color crest, *490 - Sound system, *551 - Wind deflector, *P04 - Stereo with CD-player, *P08 - Limited slip differential, *P15 - Electric seats. This is a great opportunity to own what many consider to be the most beautiful of all the 911s ever produced, and the last of the air-cooled cars. Contact our Classic Manager, Mike McPherson, for more information: 770-643-6100 or mikem@hennessyporsche.com. Before you find a luxury car in Atlanta, be sure to explore our financing options and pre-owned lease offers on all Porsche cars. Contact our Atlanta Porsche dealership today with any questions you might have. Our luxury car dealership is located at 990 Mansell Rd, Roswell, GA 30076.